Arranged over 42 floors and offering luxurious one, two and three bedroom apartments and penthouses, the spectacular Carrara Tower will form the first phase at 250 City Road, with apartments offering breathtaking 360° views from the 10th floor upwards. The entire scheme will play host to cafes, restaurants, retail outlets, creative workspaces and a 4* hotel, with all public areas Wifi enabled. Captivating, creative and constantly changing, EC1 is renowned for its organic, evolutionary nature. This is where the serenity of Regent’s Canal meets the buzz of a burgeoning technology industry. Where the industrial aesthetic of the nineteenth century is being transformed into twenty-first century living. All the while, retaining a natural beauty that offers a welcome retreat for those who know where to find quiet spots such as City Road Basin. This is the starting point for discovery as it has been for centuries. Since City Road and the canal were built, EC1 has been a hub from which to enjoy Clerkenwell’s leafy back lanes, Angel’s shopping streets and Shoreditch’s avant-garde culture. As one of the most exciting and accessible of locations in London, the delights of the capital are within touching distance at 250 City Road. Combining breathtaking architecture and peaceful green gardens, this is a new urban quarter unlike any other. Connections from Old Street Tube station means that the whole of London is easily accessible. 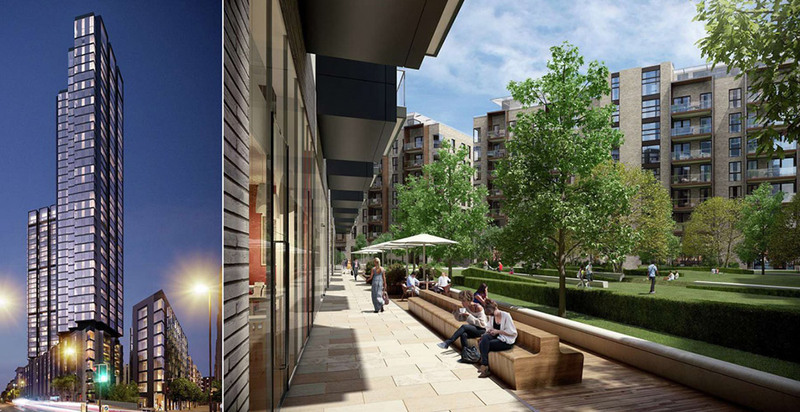 250 City Road is placed near the thoroughfare joining Tech City and the financial district with west London. 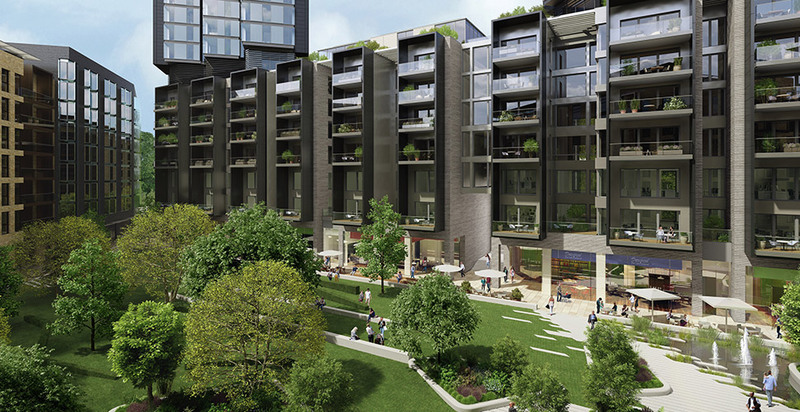 Connecting Tech City with the cultural attractions of Islington and the City beyond, 250 City Road is the first of its kind – a new community of intelligent residences that offers all the energy of city life with the tranquillity of green spaces. From established names to pop-up gastronomy, cafe culture to simple street food, everything is close at hand. Simply step outside your door and a world of culinary delights are awaiting you. There is approximately two acres of verdant parkland that is potted with mature trees, water features and wildflower beds. A Central Plaza with bustling cafes and restaurants opening out onto the public walkway that rings this ecologically diverse scenery. There are plenty of places to rest in the undulating landscape with two public art installations at either end or discover the Garden Square which offers smaller, more intimate spaces. 250 City Road is home to a state-of-the-art gym and rooftop fitness terrace with views towards the City and Canal Basin. Residents can wind down after a hard day in the luxurious 20 metre swimming pool and spa or work away from the office in the residents’ lounge. A 24 hour concierge service is on-hand to provide assistance. Designed by the world-renowned Architects, Foster and Partners, 250 City Road creates a new landmark for London, successfully marrying intricate low rise architecture, which carefully responds to the streetscape and urban realm, with strong high rise towers responding to the wider city context. Behind the door to every apartment, generous floor space gives on to intimate, private rooms to create truly exceptional properties. Generous ceiling heights, floor-to-ceiling windows and open plan living allow room to breathe. Award-winning interior architects Darling Associates have brought to life these expansive dwellings by weaving intricate features into every aspect of their designs. Incorporating high-spec integrated appliances concealed behind sleek surrounds. 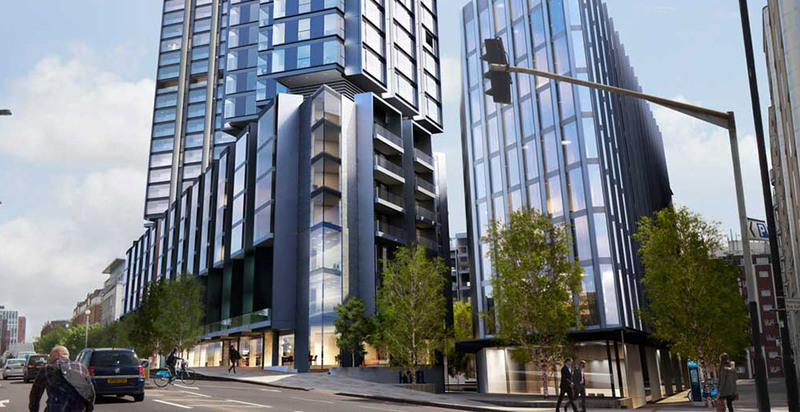 It is the attention to detail and considered approach to urban living that means homes at 250 City Road are guaranteed to be enjoyable by generations to come.